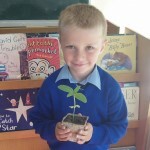 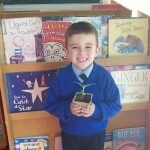 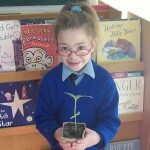 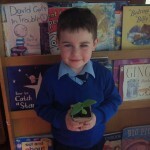 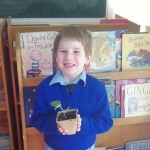 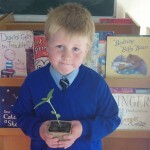 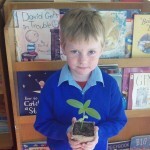 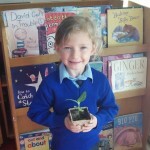 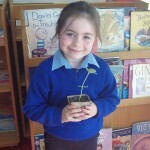 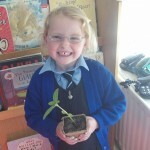 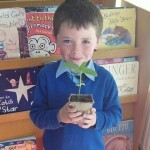 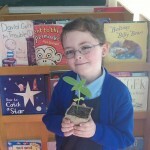 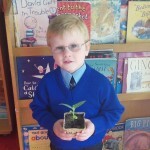 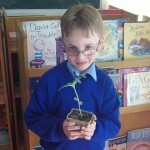 We decided to plant our sunflower seeds at the start of May but first we needed to decide what we needed. 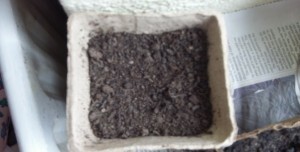 Containers for our seeds (we decided to use bio degradable pots so we can plant these straight into the ground when we bring our sunflowers home). 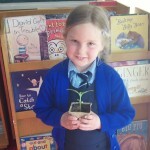 One by one each child planted their seed deep into the compost. 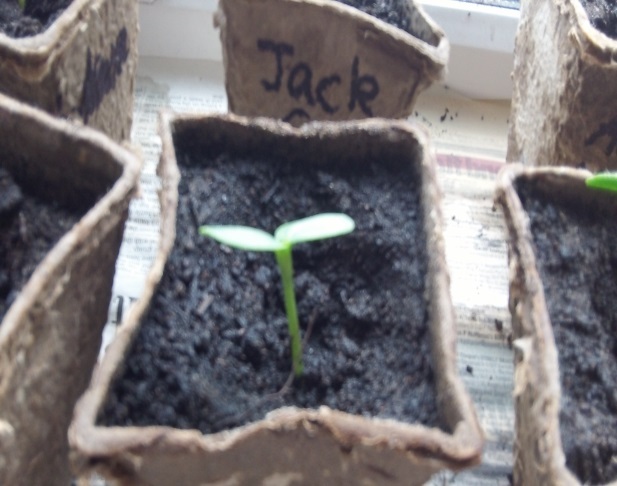 We poured some water in on top and placed them on the window sill in our classroom. 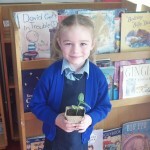 We water them nearly every day and most of them are growing very well. 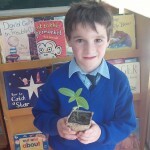 Some seeds did not grow so we have recently planted new ones. 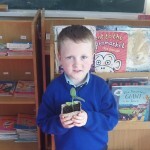 We decided to do an experiment with 2 planted seeds. 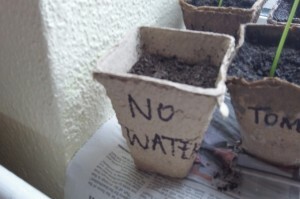 We planted the seeds like normal. With one seed we decided to put it on the window sill with the others but to not water it at all. 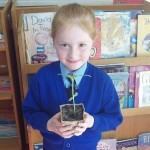 This seed has not grown. 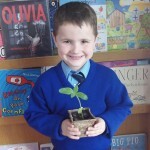 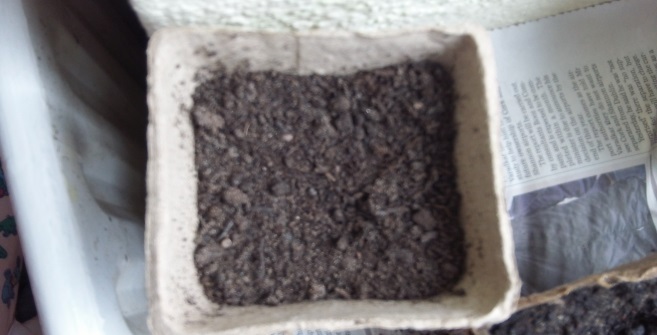 The other planted seed we decided to water but we kept it in a dark cupboard (no light). 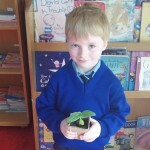 This seed has not grown either. 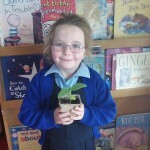 The result of these experiments is that a seed/plant needs water and light in order to grow. 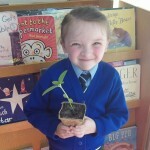 Here we are with our sunflowers. 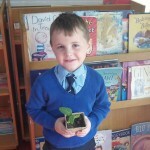 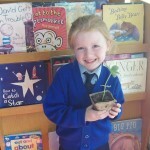 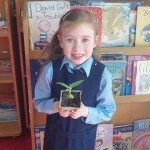 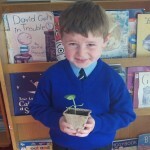 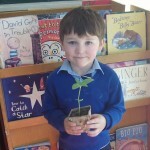 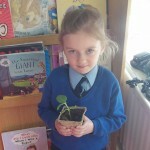 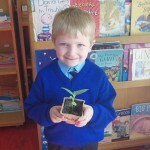 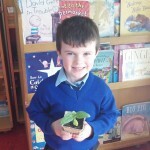 We hope the flower grows soon!